VistaPrint wanted a way to internally highlight certain employees who were able to come up with a great new idea to help the company grow and run more efficiently. We worked directly with their internal creative staff and came up with our plastic friends!.. sorry.. we mean.. 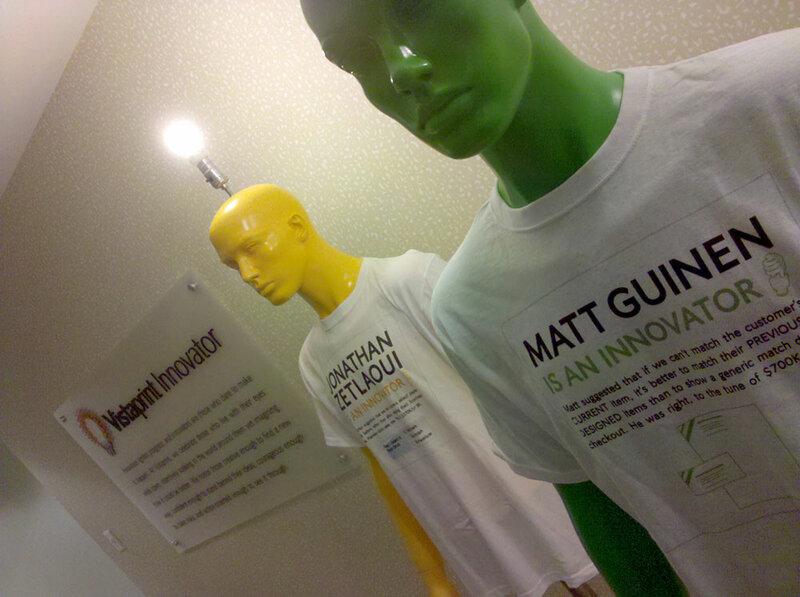 The VistaPrint Innovator display. VistaPrint, being the cross promo gurus that they are, saw this display as a great opportunity to generate awareness about their new direct to shirt printing, in addition to its employee feature purpose. 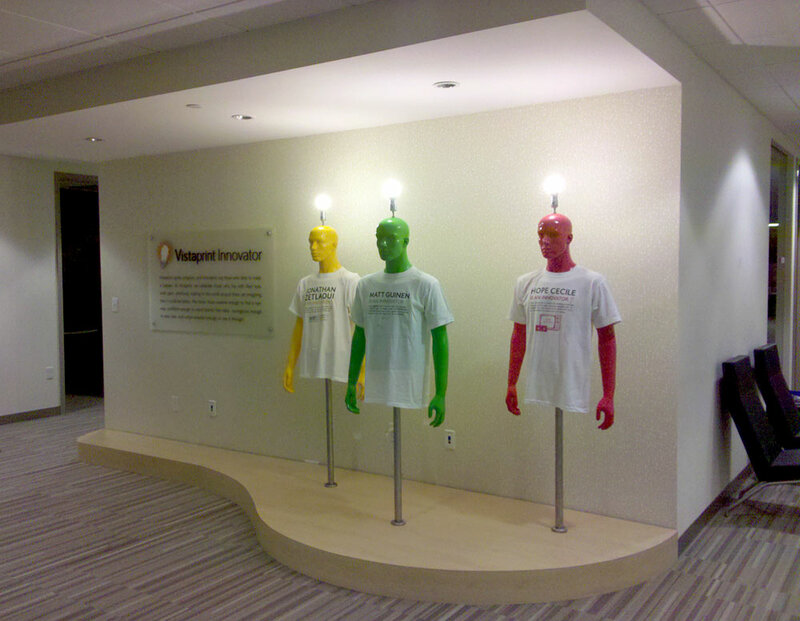 The name of the employee as well as the innovative idea they had would be printed onto a VistaPrint Tshirt, and placed onto one of the company color coordinated mannequins. The rest is pretty self explanitory. Take a look below!